Art is at the heart of every community. It sparks collaboration. It provokes conversation. It gives us tools to define who we are and to understand other perspectives. It is inside all of us. It makes us who we are. 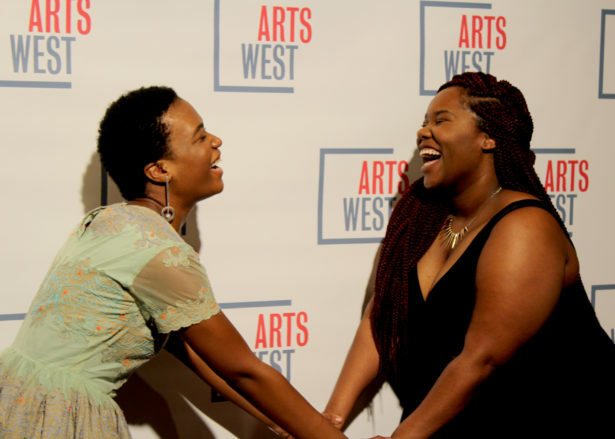 You are ArtsWest – whether you’ve worked with us, volunteered with us, subscribed for years, or just saw your first play. You make ArtsWest a vital part of our community as a thriving center for art and culture in Seattle. Your personal stories about ArtsWest – and your belief in theater as an important part of your life – inspire everything we do. Just as you are changed by ArtsWest, we are changed by each and every relationship we have with the remarkable people who come through our doors. Last year alone, we saw almost 70 of Seattle’s most talented professional theater artists make their ArtsWest debut to more than 4,000 first time audience members and a record 720 subscribers. This season will see two co-productions with outstanding Seattle arts organizations as we continue to tell an ever-widening diversity of stories to an ever-widening diversity of audiences. Your support makes it all possible. We hope you’ll join us and those who have already proclaimed “I am ArtsWest” toward reaching our annual campaign goal of $20,000 by December 31st. Please consider a year-end gift to our theatre and gallery. Thank you for your support! This entry was posted on Friday, December 1st, 2017 at 5:40 pm	and is filed under General.